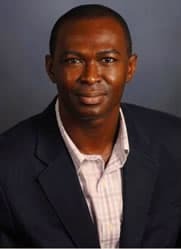 Akin Ogundiran, a faculty member in the Department of Africana Studies, recently was named editor-in-chief of the African Archaeological Review. This journal, published by Springer, focuses on authoritative articles on African archaeology, highlighting the outstanding contributions of this region's past as they relate to key global issues. Important topics include the emergence of modern humans, earliest manifestations of human culture and the origins of African plant and animal domesticates. African Archaeological Review is the oldest continent-wide journal in the field of African archaeology. Now in its 35th year, it publishes four issues a year. It is on the Social Science Citation Index, and it is ranked in the top 20 of 289 archaeology journals worldwide. According to Ogundiran, "the five-year appointment will provide students with the opportunity to be part of the editorial process of a major international journal, in addition to providing UNC Charlotte with more visibility as a research university." Ogundiran, a professor of Africana Studies, Anthropology and History, has research interests that focus broadly on the archaeology of emergent communities, social complexity and cultural history of Atlantic modernity in the Yoruba world. Currently, he is leading a research project on the political economy and settlement ecology of the Oyo Empire, focusing on the landscape history of its metropolitan area (Oyo-Ile) and one of its colonies (Ede-Ile).